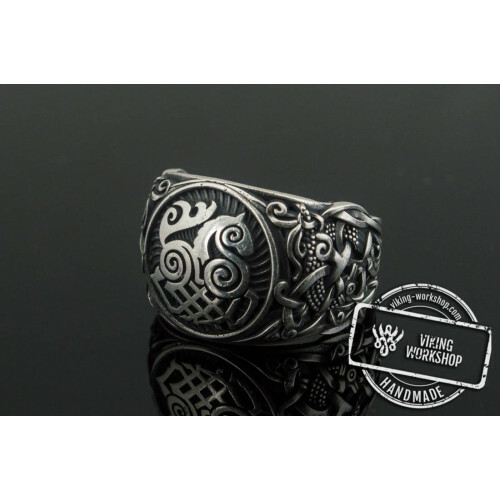 Crow Bracelet with Elder Futhark Rune Sterling Silver Norse JewelryUnique handmade Bracelet Made-to-order (you'll get the set which is made individuallyBranded boxWorldwide shipping + Tracking numberCareful packagingMetal: 925 silver, leatherBracelet.. 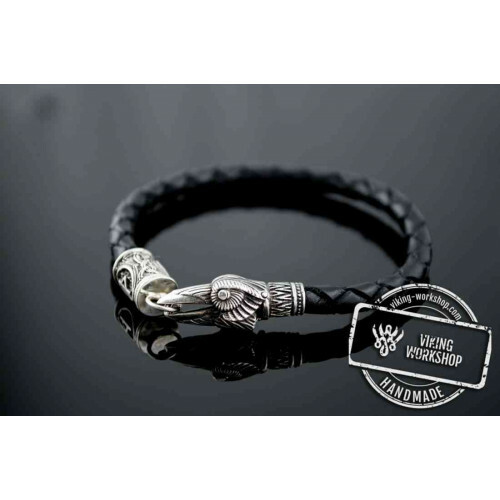 Peculiar Paracord Bracelet with RunesIf you are looking for stylish and unique jewelry as a gift to yourself or a loved one, then you should definitely buy Paracord Bracelet with Rune Word / 3 Runes of Elder Futhark (Black). 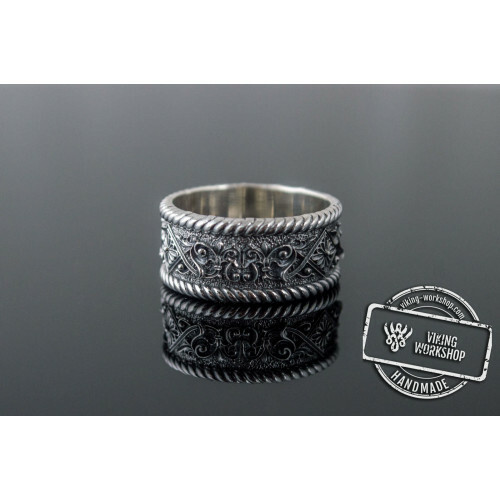 Thanks to Futhark (rune a..
Paracord Bracelet with Rune is an elegant jewelry and powerful amuletThanks to our craftsmen you can order useful paracord bracelets with profound meaning. Paracord Bracelet with Rune will become your personal shield, help to avoid failures in life a..
Paracord Bracelet with Sterling Silver Axe and Elder Futhark Rune (Black+Red)Unique handmade braceletMade-to-order (you'll get bead which made individually with your size)Branded boxWorldwide shipping + Tracking numberCareful packagingMetal of Axe: 9..
Valknut Symbol with Viking Ornament Pendant Sterling Silver Unique Jewelry Unique handmade pendant Made-to-order (you'll get the pendant which is made individually) Branded box Free 700 mm cord Worldwide shipping + Tracking number Careful pac.. 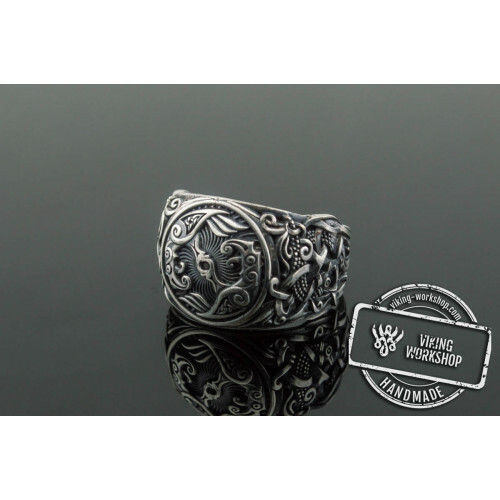 Colorful jewelry of the top-quality silver along with some nice bonusesIf you want to ring the changes on your image, make it more vibrant and memorable, there is nothing better than some original jewelry that are available in our shop. Today you can..
Wolf Bracelet with Elder Futhark Rune Sterling Silver Viking JewelryUnique handmade setMade-to-order (you'll get the set which is made individuallyBranded boxWorldwide shipping + Tracking numberCareful packagingMetal: 925 silver, leatherBracelet weig..
Valknut Ring with Mammen Ornament Sterling Silver Viking JewelryUnique handmade ringMade-to-order (you'll get the ring which is made individually with your size)Branded boxWorldwide shippingCareful packagingMetal: 925 silver, sterling silverWeight: a.. 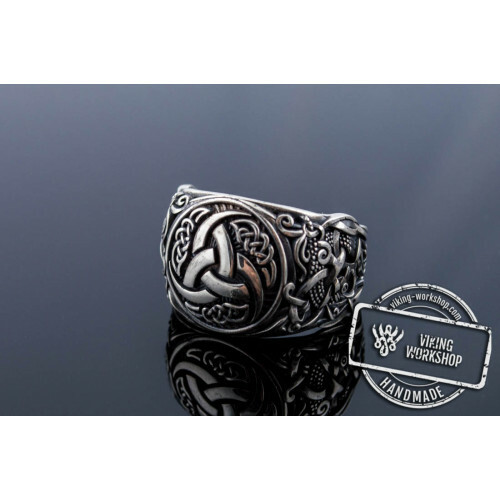 Helm of Awe Ring with Mammen Ornament Sterling Silver Viking JewelryUnique handmade ringMade-to-order (you'll get the ring which is made individually with your size)Branded boxWorldwide shippingCareful packagingMetal: 925 silver, sterling silverWeigh..
Sleipnir Ring with Mammen Ornament Sterling Silver Unique JewelryUnique handmade ringMade-to-order (you'll get the ring which is made individually with your size)Branded boxWorldwide shippingCareful packagingMetal: 925 silver, sterling silverWeight: ..
Vegvisir Symbol with Mammen Style Sterling Silver Norse Ring Unique handmade ring Made-to-order (you'll get the ring which is made individually with your size) Branded box Worldwide shipping + Tracking number Careful packaging Metal: 925 si..
Yggdrasil Symbol with Mammen Style Sterling Silver Norse Ring Unique handmade ring Made-to-order (you'll get the ring which is made individually with your size) Branded box Worldwide shipping + Tracking number Careful packaging Metal: 925 s..
Aztec Ornament Ring Sterling Silver Handmade Jewelry Unique handmade ringMade-to-order (you'll get the ring which is made individually with your size)Branded boxWorldwide shippingCareful packagingMetal: 925 silver, sterling silverWeight: approx. 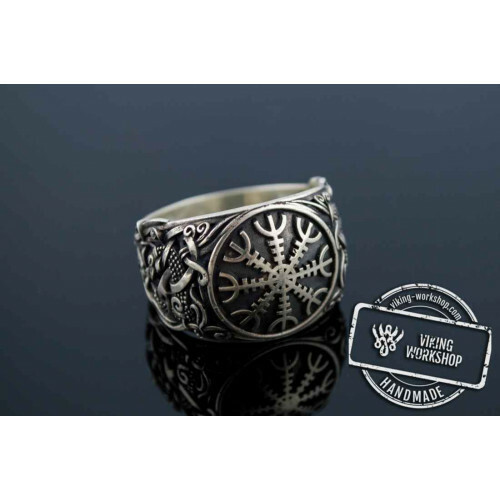 9 - ..
Black Sun Ring with Mammen Ornament Sterling Silver Viking JewelryUnique handmade ringMade-to-order (you'll get the ring which is made individually with your size)Branded boxWorldwide shippingCareful packagingMetal: 925 silver, sterling silverWeight:..
Drakkar Symbol Ring with Mammen Ornament Sterling Silver Viking JewelryUnique handmade ringMade-to-order (you'll get the ring which is made individually with your size)Branded boxWorldwide shippingCareful packagingMetal: 925 silver, sterling silverWe..
Kraken Ring with Skull Sterling Silver Handmade Unique JewelryUnique handmade ringMade-to-order (you'll get the ring which is made individually with your size)Branded boxWorldwide shippingCareful packagingMetal: 925 silver, sterling silverWeight: app..
Odin Horn Symbol Ring with Mammen Ornament Sterling Silver Viking JewelryUnique handmade ringMade-to-order (you'll get the ring which is made individually with your size)Branded boxWorldwide shippingCareful packagingMetal: 925 silver, sterling silver..
Raven Ring with Mammen Ornament Sterling Silver Viking JewelryUnique handmade ringMade-to-order (you'll get the ring which is made individually with your size)Branded boxWorldwide shippingCareful packagingMetal: 925 silver, sterling silverWeight: app..
Ring with Veles symbol Sterling Silver Handmade Unique JewelryUnique handmade ringMade-to-order (you'll get the ring which is made individually with your size)Branded boxWorldwide shippingCareful packagingMetal: 925 silver, sterling silverWeight: app..
Shield Ring with Black Cubic Zirconia Sterling Silver JewelryUnique handmade ringMade-to-order (you'll get the ring which is made individually with your size)Branded boxWorldwide shippingCareful packagingMetal: 925 silver, sterling silverWeight: appr.. The Ornament Ring Sterling Silver Handmade Unique JewelryUnique handmade ringMade-to-order (you'll get the ring which is made individually with your size)Branded boxWorldwide shippingCareful packagingMetal: 925 silver, sterling silverWeight: approx. .. 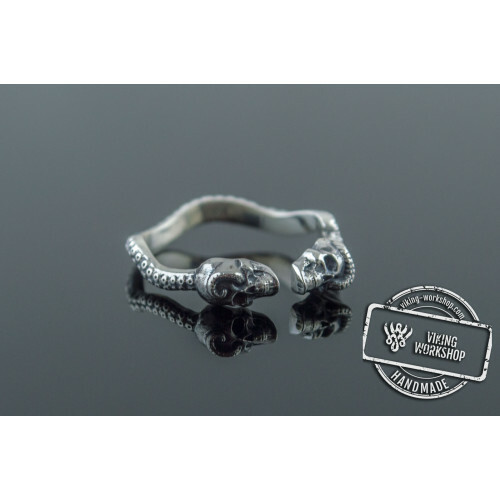 The Skull Sterling Silver Handmade Unique JewelryUnique handmade ringMade-to-order (you'll get the ring which is made individually with your size)Branded boxWorldwide shippingCareful packagingMetal: 925 silver, sterling silverWeight: approx. 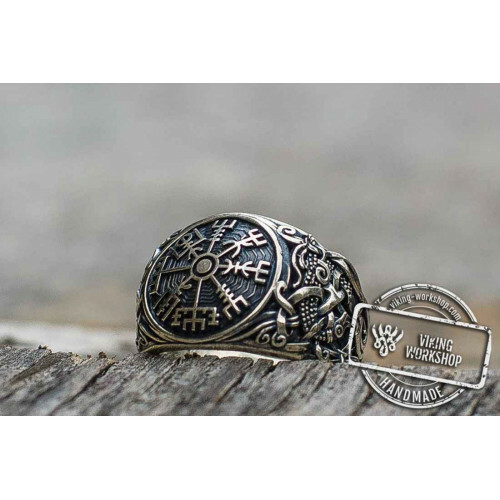 14 - 15 ..
14K Gold Helm of Awe Ring with Mammen Ornament Viking JewelryUnique handmade ringMade-to-order (you'll get the ring which is made individually with your size)Branded boxWorldwide shippingCareful packagingMetal: 14K Gold or 18K GoldWeight: approx. 18 ..
14K Gold Honeycomb with Bee Ring Handmade JewelryUnique handmade ringMade-to-order (you'll get the ring which is made individually with your size)Branded boxWorldwide shippingCareful packagingMetal: 14K Gold or 18K GoldWeight: approx. 7 gThe weight o.. In ancient times peopledecorated jewelry with different symbols and signs, each of which had its own meaning.These symbols were used for different purposes: to draw good fortune andwealth, happiness and love, to protect from evil forces, to make one courageousand powerful. Our ancestors believed that the symbols possessed special magicalpowers. Ancient symbols jewelry was particularly valued in those days. It was worn byworthy people who achieved something in life, or rich families and the clergy. As in ancient times, nowadaysold jewelry symbols are popular accessoriesgladly worn by today's generation. Our online store has a wide assortment ofjewelry made of gold, silver or bronze. These handmade products will captureyour heart with their beauty and form. Ancient love symbols jewelry – how did people declare their love before? As today, in ancient times,people tried to demonstrate their love to another person in the most affectionateway. 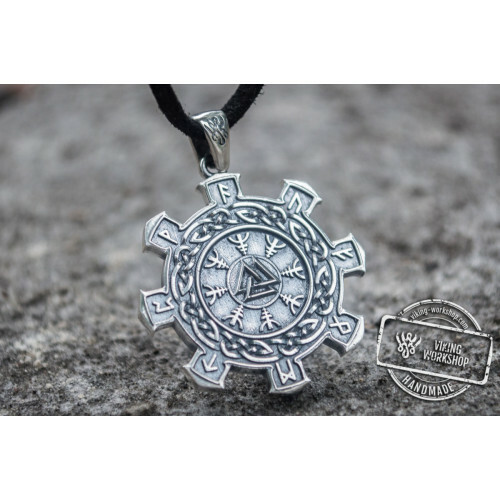 They did it differently, but the most popular was ancient symbols necklace, signifying the eternal pure love. Suchgifts could be made of different metals: silver, gold or bronze. Want to show your feelingsto people close to you, and make it unusual? Viking-workshop will help you withthat! 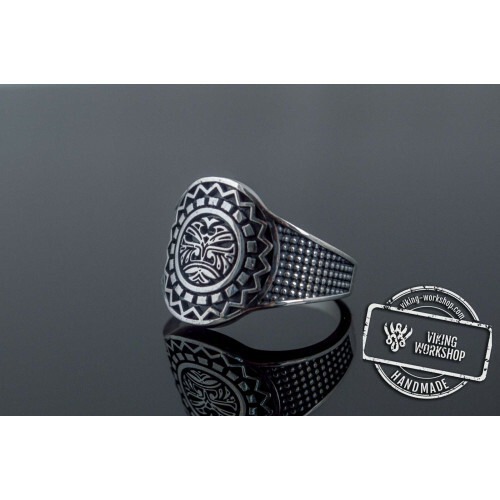 Our store has ancient Greekjewelry symbols available, to help you express your feelings to your lovedone. Choose a cool piece of jewelry, add it to cart and complete the order. Wewill deliver the accessory to any city in the USA or Canada, as soon aspossible. Old jewelry symbols were used for more thanconfessing one's love. They also brought good luck and provided protection fromevil spirits, facilitated wealth and hidden abilities of the owner. The ancientpeoples strongly believed in it, and their faith has remained kept inourselves. 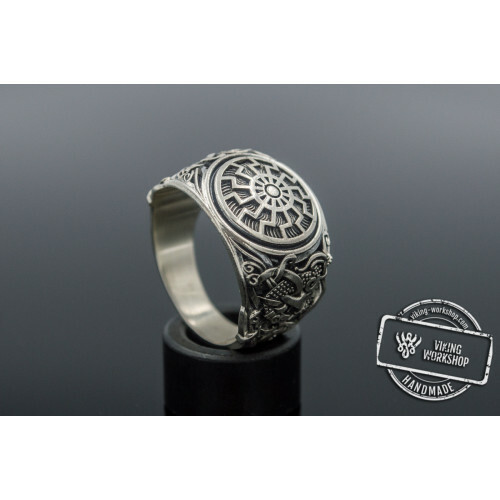 That is why ancient symbols jewelry is very popular with today's generation.